Who doesn't want some more 'me-time' in their lives? 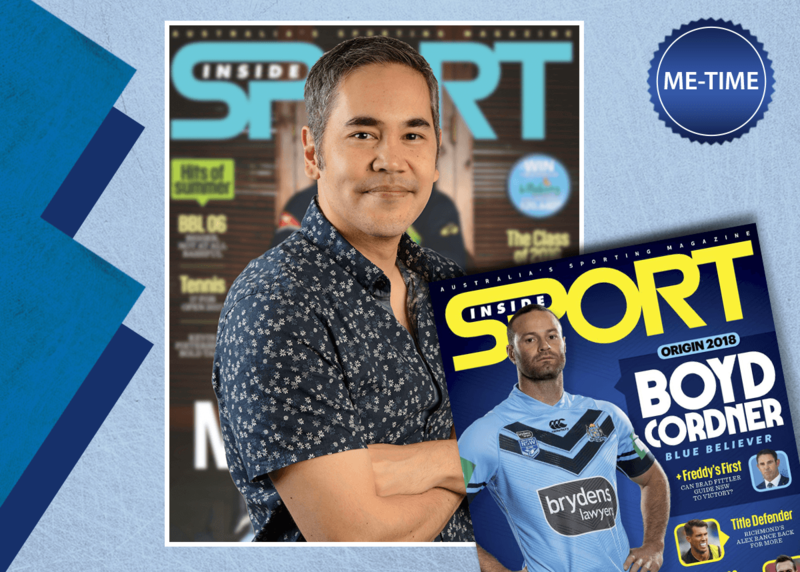 We speak to Editor Jeff Centenara of Inside Sport to discuss why it's essential to take some time out for yourself or better yet give some 'me-time' to your Dad! No excuses...! Being not only the Editor of Inside Sport, but also being a Dad could you tell us why it's essential to make time for yourself with some 'me-time' ? Between work and kids, it’s pretty all-consuming. It’s important to have an outlet beyond that, something you can do that’s an expression of yourself. I find having that side interest makes you a better editor, and father. You can’t receive an email or a text message like you would on your devices, so you won’t be distracted. Magazines are still the ideal non-electronic method to fill me-time: a good way to get deeply into a topic in the period you have available. Why do you think Inside Sport will make the perfect gift for Dad this Father's Day? If your kids are young like mine, you either have them playing sport or are anticipating what they might play one day. Read Inside Sport, and you’ll be prepared for whatever they take up, regardless of whether it’s footy or Ultimate Frisbee.